All The Best Brands To Keep You Rolling Down The Road! Complimentary Tire Rotations and Flat Repairs when you purchase Four tires. Running on unbalanced or improperly aligned tires will cause uneven and exacerbated tire wear, which can result in poor steering control, decreased traction, less stopping power, and increased blowout risk. Experiencing vibrations that intensify as the vehicle’s speed increases is a common symptom of unbalanced tires (and poor wheel alignment). Similarly, driving a vehicle with proper wheel alignment reduces accident risk, improves gas mileage, and saves you hundreds in tire purchases and suspension repairs. It’s recommended for motorists to have their wheel alignment checked every six months or 6,000 miles. With so many added driving benefits, getting a wheel alignment should be at the top of your car maintenance “to do” list. In addition to getting a wheel alignment, tire rotations are another important component of car maintenance. The pressure upon the front and rear axles differs, causing one set of tires to wear faster than the other. Periodically rotating your vehicle’s tires helps ensure even tread wear and prolongs their lifetime. Most manufacturers suggest rotating your vehicle’s tires on a 5,000 to 8,000 mile basis. At D&R Autoworks, we perform tire rotation and wheel alignment services, as well as tire repair. If a tire with damaged tread or a puncture can be repaired rather than replaced, we’ll endeavor to do so. However, in most cases tires can only be repaired under very specific circumstances. 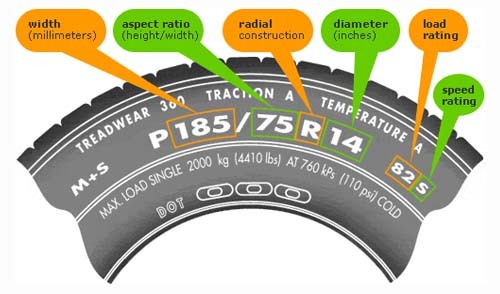 The puncture must be no greater than 3/16″, situated in the tread area, and without secondary damage. D&R Autoworks of Highland Park, IL, is a wheel alignment expert that can fix any of the wheel and tire problems your vehicle has been experiencing. Proudly providing the Highland Park, IL, location with quality wheel alignment and tire repair services.